If you’ve been watching television coverage of the London 2012 Olympics, you’ve probably seen plenty of impressive visual effects. 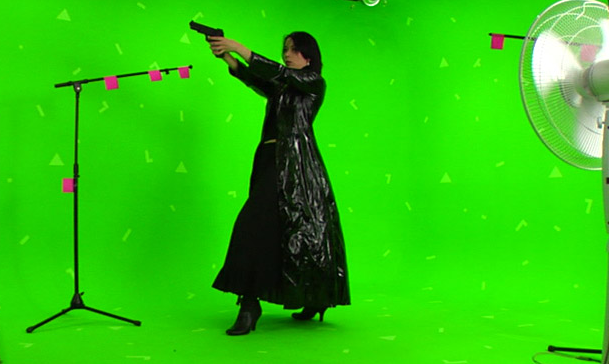 The underlying technology for generating these effects is quite similar to that used for film and television production, with the caveat that all the effects have to be generated in real-time (or quickly enough to be shown in an instant replay). The most common example, present in the coverage of almost every Olympic sport, is a motion graphic superimposed on the raw video that labels the lanes that runners or swimmers are in, or highlights what line a competitor has to beat in order to win a race. These types of effects have been around for a while, and are created using feature tracking and well-calibrated cameras that know their relationship to the 3D plane where the graphics should go (e.g., the track or pool surface). There’s a cool, more advanced effect being deployed in diving and gymnastics coverage in which the camera seems to swivel around the athlete in 3D as they’re frozen in mid-air (a la The Matrix). 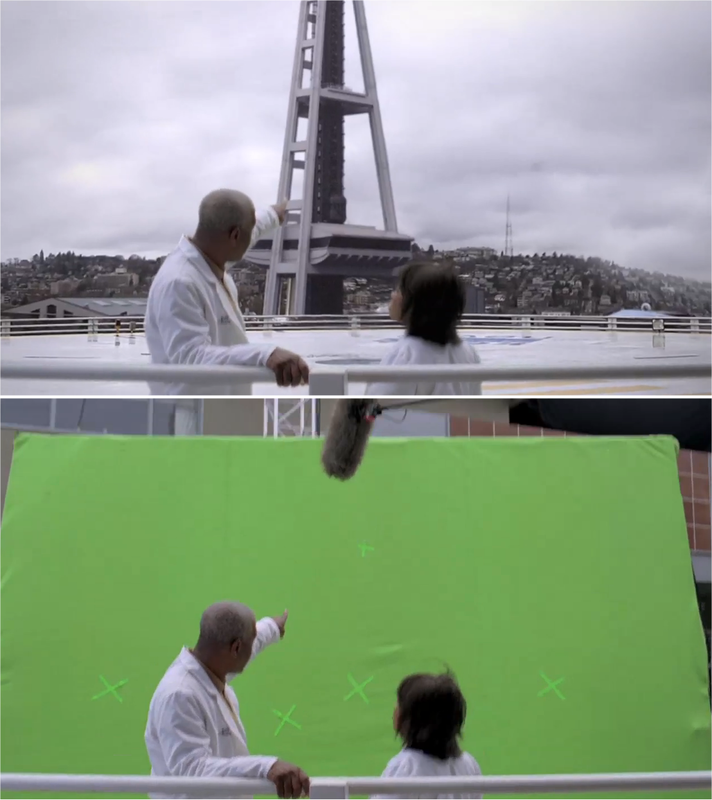 This is done with a combination of real-time foreground segmentation from multiple cameras, a fast multiview stereo algorithm, and a version of production visual effects software like the Foundry’s Nuke. The underlying approach is clearly explained in this video about the i3DLive system developed by the Foundry, the University of Surrey, and BBC Research and Development. Sorry I couldn’t figure out how to embed it here, but it’s really worth a look. There’s a ton of interesting information on the BBC Research and Development web site. 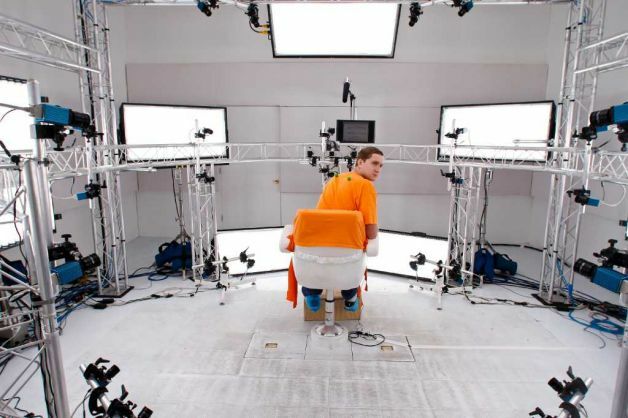 For example, check out these pages on augmented reality athletics, markerless motion capture for biomechanics, and all sorts of “Production Magic” techniques. 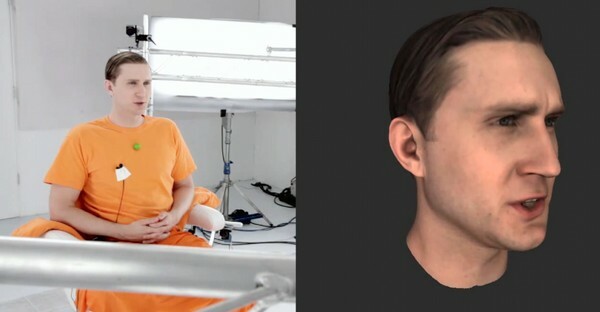 These are great applications of computer vision for visual effects! In the US, many of these types of effects (e.g., the virtual first down line in football) are created by a company called Sportvision; many video examples can be seen here. Chapter 2 of the book is all about Image Matting, the separation of a natural image into foreground and background elements. It’s not quite like putting a jigsaw puzzle together, since the “pieces” are fuzzy (e.g., background partially shows through an actor’s wispy hair). The matting problem gets its name from the way scenes in old-school Hollywood movies were created; expert artists would create large, detailed paintings on panes of glass placed between the camera and the set. The result would be that live action fused (hopefully) seamlessly with the matte. 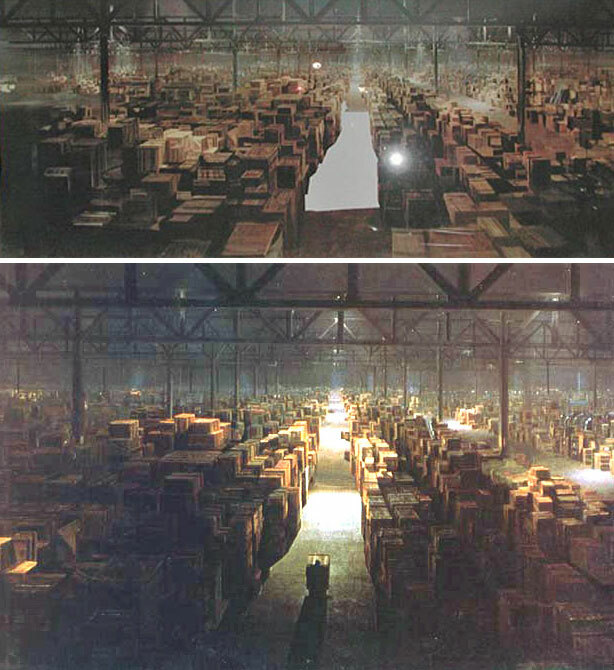 The image above is a classic shot from Raiders of the Lost Ark, where you can see the gray region is the clear part of glass through which the scene was shot. As you can imagine, matching the perspective and lighting of the live action is very tricky! I found this example on the blog Matte Shot, which is a great, detailed resource. 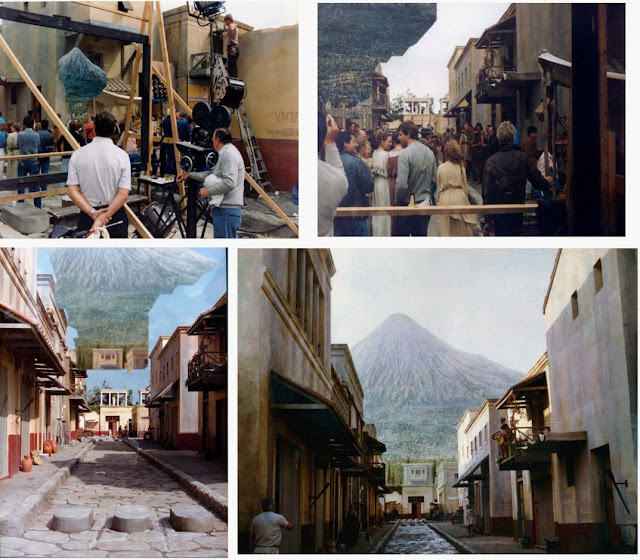 This picture is from a long article about master matte artist Leigh Took. In my research, I also enjoyed Raymond Fielding’s book Techniques of Special Effects of Cinematography, which has lots of details on the “good old days”. It’s become increasingly easy for the average person to create 3D models of objects simply by taking lots of images. This problem is also known as multiview stereo, and many ways to approach it are discussed in Section 8.3 of the book. 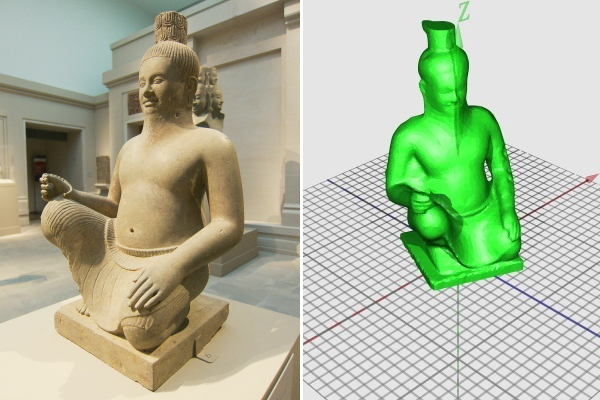 Recently a team of volunteers went to the Metropolitan Museum of Art to acquire lots of pictures of classical sculptures, which were then processed into 3D models using Autodesk’s 123D Catch software. This free multiview stereo software makes it really easy to make your own 3D models. The multiview stereo algorithms under the hood are from acute3D, a French company that had a great presentation at CVPR 2012. This article from MakerBot and this article from the Creative Project have more details and pictures from the project. Photo manipulation didn’t start with Photoshop! 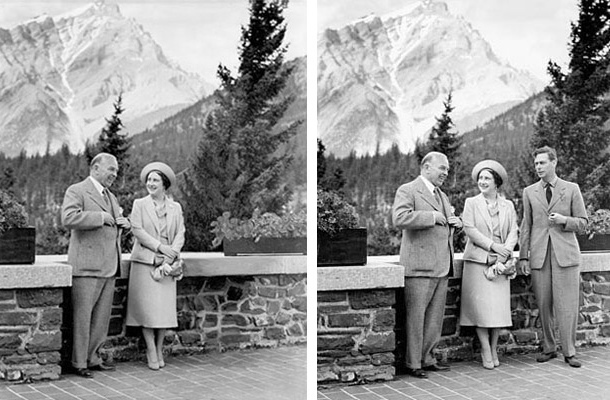 Several famous historical photos were actually manually altered. 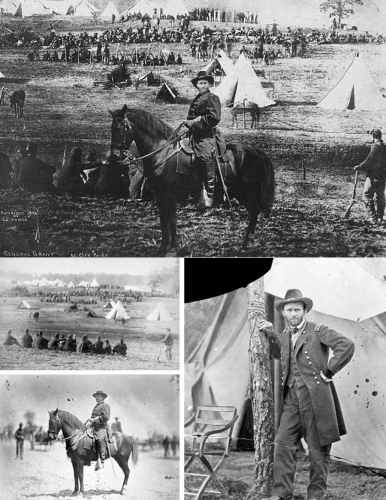 For example, this image of General Ulysses S. Grant from the mid-1800s was actually constructed from three source images taken in very different places at different times. General Grant’s head was taken from one image, the body and horse from a different person in another image, and the background from an entirely different scene. Section 3.3 of the book addresses automatic ways to solve this problem. This image of William Lyon Mackenzie with Queen Elizabeth from 1939 is an early example of manually inpainting a large hole with complex texture. King George VI was fully removed from the picture! Section 3.4 of the book addresses automatic ways to solve this problem. These examples came from this slideshow at the New York Daily News.